Rules of engagement in Gwent are explained below. To begin a match, the game selects the starting player with a coin toss. Each player receives 10 random Gwent cards pulled from their decks. Players can discard two cards and redraw in the hope of receiving two superior cards. This is done once. 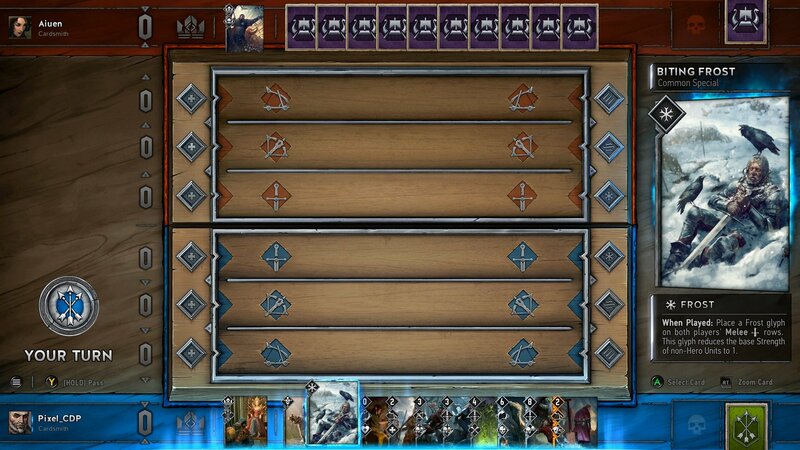 Players place a Unit Card on the Gwent board in the dedicated combat row. Each player may play one card per turn unless a special ability enables them to do otherwise. Players may also utilize Weather Cards from the Neutral Deck. Matches are set with 2 wins out of 3 rounds.